Why will the future not just belong to current superpower China? Author of The Future is Asian, Parag Khanna shares with Michelle Martin why China’s influence is likely to be diluted and weakened in the decades ahead. He also weighs in on the US-China trade war and Belt and Road initiative. At the annual World Economic Forum in Davos, Parag Khanna speaks to Anne McElvoy about The Future is Asian and what Asia's integration means for China's economy and the trade war. In this Facebook Live episode from the World Economic Forum's annual meeting in Davos, Switzerland, Parag Khanna is joined by Kevin Sneader, global managing partner of McKinsey & Company, to discuss how the firm navigates Asia's vast opportunities and complexity. Supply Chain Matters blog editor Bob Ferrari speaks with renowned globalization scholar and international best-selling author Dr. Parag Khanna about The Future is Asian. They explore the world and the future from the Asian point-of-view, including global supply chain management shifts. 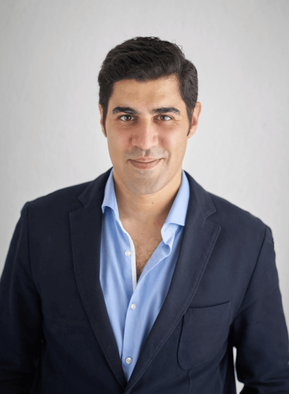 Saigoneer speaks to Parag Khanna about his new book The Future is Asian: Commerce, Conflict and Culture in the 21st Century, which discusses how Asian countries are reconnecting in the post-colonial era and what this means for Vietnam. DLD 2019: The Asian Century?! I very much enjoyed sharing the stage at DLD with Andrew Keen for a discussion on The Future is Asian. We discussed what the West can learn from Asia's approaches to technology and governance. Singapore's exclusive members club 1880 hosted a launch event for The Future is Asian co-sponsored by Aggregate Asset Management and ESSEC Business School. 1880 founder Marc Nicholson interviewed Parag Khanna about the book and moderated the Q&A session. The Lee Kuan Yew School hosted a lecture and discussion event to launch The Future is Asian, including introductory remarks and moderation by Kishore Mahbubani and comments from Khong Yuen Foong. 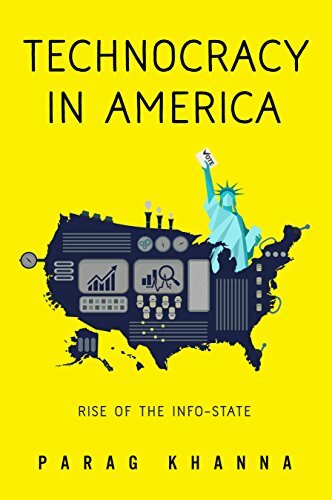 Speaking to Analyse Asia, Parag Khanna discusses his new book The Future is Asian and gives a historical perspective on the rise of Asia, return of the Silk Roads, and diffusion of power away from China in the coming decades. On Bloomberg Daybreak, Dr. Parag Khanna discussed the multiple key economic powers involved in the trade war and its long-term consequences of promoting greater Asian regional integration. Asia’s own Asianisation may be the most significant megatrend of the twenty-first century. Asians have spent the last 500 years of colonialism or the Cold War understanding their colonial masters or their Western allies better than each other. "Not joining TPP will prove to be a seminal error by the U.S. as the White House miscalculated in believing it would not move forward without America, but it very much has," said Khanna. The question for Asian societies is not whether they are becoming more democratic, but whether governments are well-placed to deal with challenges of the future. Dr. Parag Khanna, author of The Future is Asian, speaks to Peter Guest on the consequences of the U.S. government's confrontational approach to China and the accelerating "Asianization of Asia," meaning greater economic and political interdependence between Asian countries. It was a pleasure to launch The Future is Asian at Kinokuniya Singapore on a sunny Saturday afternoon. Thanks to Nicholas Fang for moderating and to all who came and for the great questions and support! Dr. Parag Khanna authored the introductory essay to Henley & Partners 2019 Global Mobility Report, highlighting the sharp divergence in migration policies across the world in light of fragile economic and political circumstances.